How long will my Chapter 13 bankruptcy take? Just because you have a job does not necessarily mean you are making money. As you work day in and day out to provide for yourself and your family, your paycheck just might not be making ends meet. It is an unfortunate scenario to live in but there are ways for those dealing with debt but still have a steady income to get back on the right side of their finances: Chapter 13 Bankruptcy. The word bankruptcy has a nasty connotation to it but it is essentially a fresh start for those who need it most. In particular, filing for bankruptcy under Chapter 13 is a great first step. So what is Chapter 13 bankruptcy? Chapter 13 is when you have to report all of your debt and income and then you work with a bankruptcy trustee, your creditors, and the court to create a payment plan. Under Chapter 13 you get an allowance for living expenses and payments of your secured debt (auto loan, mortgage, etc) while the remainder from each month goes to the bankruptcy trustee. The trustee then disperses the money among your creditors. 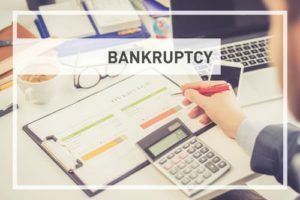 Now it may seem silly to file for bankruptcy and still have to pay a monthly payment but there are plenty of upsides to Chapter 13 bankruptcy. For starters, you will never be forced to pay more than you make. It is completely dependent on your income, not your debt. Chapter 13 also comes with an automatic stay, which means creditors cannot move against you for collection. And the best part about Chapter 13 is that at the close of your payment plan, the rest of your unsecured debt will be forgiven, meaning you will have paid substantially less for your debt. So how long will your Chapter 13 bankruptcy take exactly? When it comes to Chapter 13, your plan will either be for three years or for five years depending on where you fall in accordance with the state median income. In New Jersey, the median income is around $60,000. If your monthly income is below the state median then your plan will last three years. If it falls above the state median then you will be on a five-year plan. When it comes down to it, filing for bankruptcy under Chapter 13 can be a tedious and arduous process but a successful execution will provide you with the fresh financial start you need. In order to make sure you get the most out of your bankruptcy, you should hire an attorney experienced in bankruptcy litigation. Here in New Jersey, attorney Joel R. Spivack is experienced and ready to get you in the best possible financial position. Contact the Law Offices of Joel R. Spivack today to begin discussing your legal avenues.